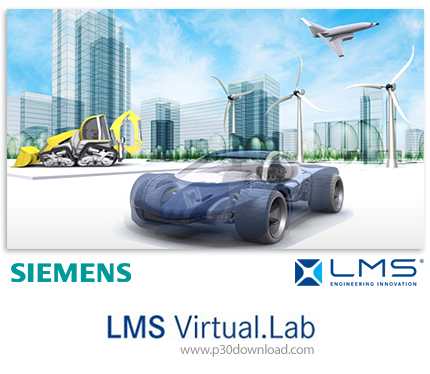 LMS Virtual.Lab is one of Siemens's most popular products specializing in simulation, analysis, and testing of mechanical systems. This software has various parts that each have private applications; structure integrity, noise analysis, vibration and system dynamics are among these categories. The advanced simulation of mechatronics systems and its widespread use in the automotive, aerospace, electronics, mechanics, and computer industries is another great feature of this program. This software is also referred to as the "Siemens Magic Lab", a highly-lab equipped to perform a variety of engineering tests that have countless capabilities. This software is based on the numerical solution of equations in finite element method and has common features with FEMAP and NXNastran. This collection is generally presented in 3 separate formats. 2. Create a folder in Drive C called LMS_RLM and copy all the contents inside the Crack folder. 3. Enter the LMS_RLM_Server folder located in C: \ LMS_RLM and right-click the server_install.bat file, and then select Run as Administrator. 4. Allow the necessary service to be performed and the steps to be taken. 5. Right-click on the Computer icon on Deskop and select Properties. 6. From the menu on the left, select Advanced system settings, and then click Enviroment Variables from the Advanced tab. 8. Log into the installer folder and run the Launch.exe file with Administrator access. 9. In the window that opens, click Install LMS Virtual.Lab with one installer. 10. Do not change the location of the software installation and install the application in the same default path. 11. In the next step, when you encounter the Enter your RLM license server or file, enter the following in the Name field and click Next. 12. Allow the software to be installed, this step may take a while. 13. After installing the software, log into the LMS_RLM folder and copy its contents to the software installation path, namely C: \ Program Files \ LMS, and replace the previous files. 14. Run the SolidSQUADLoaderEnabler.reg file from the LMS_RLM folder and allow the necessary changes. 15. Restart your system once. 16. Run the application; the program tells you that the license program is not set, and then click OK to enter the License settings. 17. In the popup window, select Select Configurations. 18. In the window that opens for each item you need, select the green check box and OK at the end. 19. Then, in the Current Product Configurations section, select the smallest modules you need, and click on green and then OK.
20. Open the application once and again. 21. The software is activated and can be used without any restrictions. Tip: If you wish, you can download and install other additional Virtual.Lab applications as described in the following guide. 1. First, unzip the APPSnDOCS package. 2. Run the Launch.exe file with Administrator access. 3. In the window that opens, click Install LMS Virtual.Lab Powertrain Dynamic Simulator. 4. Install the application in your default path and if you encounter the DADS 9.6 installation message, select No. 5. When installing, be sure to uncheck DADS Patch Files. 6. Leave it blank in the LM_LICENSE_FILE section of the License Selection step. 7. Allow the installation of the program to finish. 8. Right-click on the Computer icon on Deskop and select Properties. 9. From the menu on the left, select Advanced system settings and select Enviroment Variables from the Advanced tab. 9. The software is activated and can be used without any restrictions. 1. First, download and package the LMS Complementary Solvers & NXNastran package. 3. Select the Siemens NXNastran for LMS option. 4. In the next step, when you encounter the "Enter your license server," enter the following in the Name field and click Next. 5. Allow the software to be installed. 6. Copy the NXNastran folder from the LMS_RLM folder and place it in the software installation path, namely C: \ Program Files \ LMS. 4. Click Install LMS Virtual.Lab Composer. 5. In the next step, when you encounter the "Enter your license server" message, in the Name field enter the following statement and click Next. 6. In the final step, select the Run Composer Creator option. 7. Allow the software to be installed. 8. Copy the LMS Composer 13.8 folder from the LMS_RLM folder and place it at the installation location of the software: C: \ Program Files (x86) \ LMS. - After installing the programs, restart your system. - There are no additional programs that need to be activated, or License can be activated through LMS Licensing. - This software is fully tested by the download team and cracks it properly. - This software is only installed on 64-bit systems. - The list of software in this package can be seen in the description above. - Files are compressed as much as possible and can be repaired with WinRAR.